The Hanoi authorities are planning to reconstruct the ruined Kinh Thien Palace in the UNESCO-recognised Imperial Citadel of Thang Long in 2020. The plan was unveiled by Hanoi Chairman Nguyen Duc Chung at a conference on January 18. Chung said the Kinh Thien (Revering Heaven) Palace was the centre of the former imperial citadel so it should be restored as soon as possible, adding that the capital city has arranged sufficient funds for the project. According to historical records, the palace was constructed in 1428 under the reign of Emperor Le Thai To and was the venue for imperial ceremonies, receptions for foreign ambassadors and where the court discussed national matters. 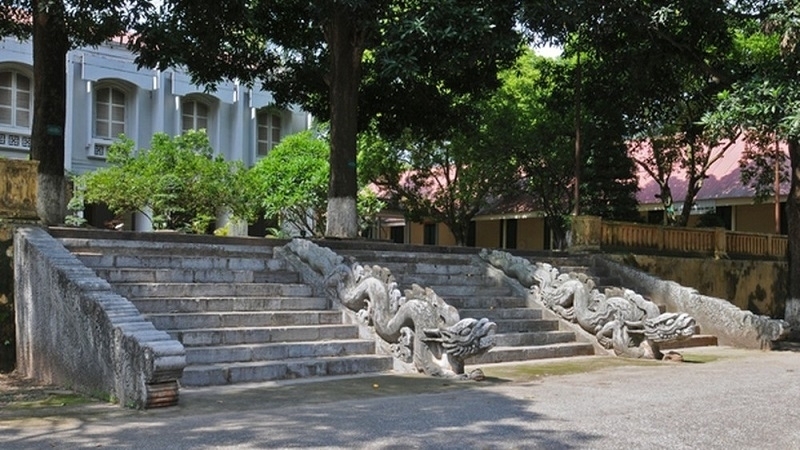 In the late 19th century when Vietnam was under French rule, the Kinh Thien Palace was destroyed with only the foundations and stone dragons on the two sides of the steps surviving. Researchers stated that most of the palace’s components such as the foundations, the front courtyard, the imperial footway and hallway, roof tiles and decorations have been studied thoroughly. The missing pieces are only the interior layout and the north-south dimension of the palace and will be further studied. In 2019 Hanoi also plans to revamp the archaeological site of 18 Hoang Dieu, plant more trees and create a public walking space in harmony with the nearby National Assembly House. Furthermore, an imperial lantern festival of the Ly and Tran Dynasties designed to pray for peace and longevity is also expected to be re-enacted at the Thang Long Citadel.